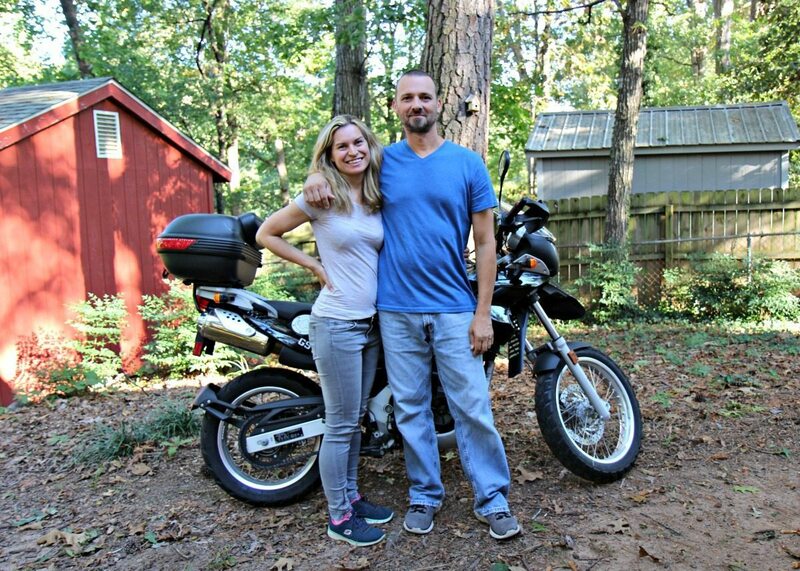 Mark and Nancy are a motorcycle riding couple who were looking for a way to get involved in the motorcycle industry. They tossed around ideas, but nothing really stuck. That is, until they looked past the drawing board and over to their daughter. She was reading the AMA’s ‘American Motorcyclist’ magazine. That was the eureka! moment. A book for infants and toddlers was born. The Adventures of Mimi and Moto: The Motorcycle Monkeys sprang to life. 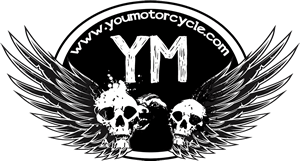 YouMotorcycle: What is your own motorcycling background? Mark and Nancy: I (Mark) have been riding motorcycles since 2004 (KTM Adventure, Aprilia Dorsoduro). Nancy initially rode with me two-up but eventually she caught the motorcycle bug and got her license and has been riding for a couple of years (Yamaha XT225, BMW G650GS). YouMotorcycle: Welcome, guys! What can you tell us about Mimi and Moto? Mark and Nancy: Mimi and Moto are two monkeys who ride motorcycles. We chose the name Mimi after our daughter started calling herself that when she began to talk. Moto’s name was a no-brainer and we liked how the two names fit together. YouMotorcycle: Who are you trying to target with your books? Mark and Nancy: This first book is targeting ages 1 and up. 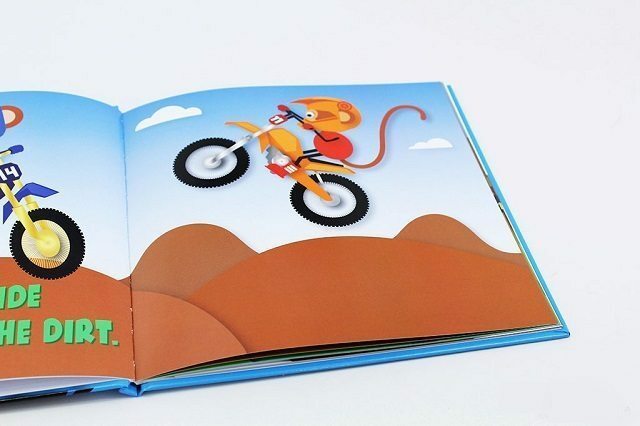 We want it to be the ‘first’ motorcycle book families introduce to their children. 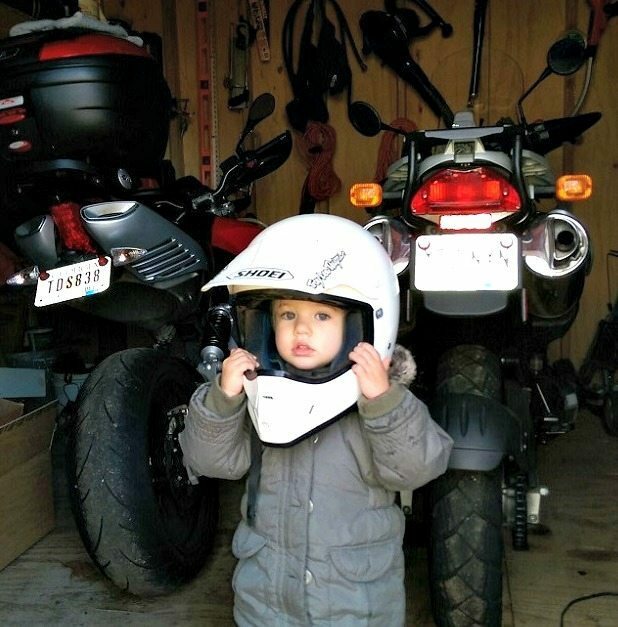 We are certainly targeting parents and grandparents who ride motorcycles and see Mimi and Moto as a great way for motorcycle riders and enthusiasts to share their passion with their children. 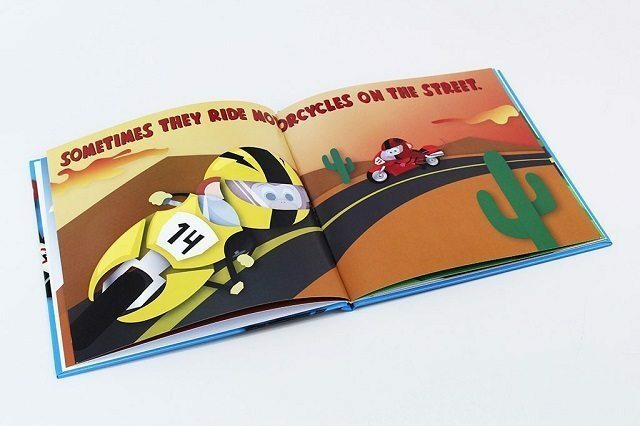 YouMotorcycle: Complete the sentence: Families love our book because…. 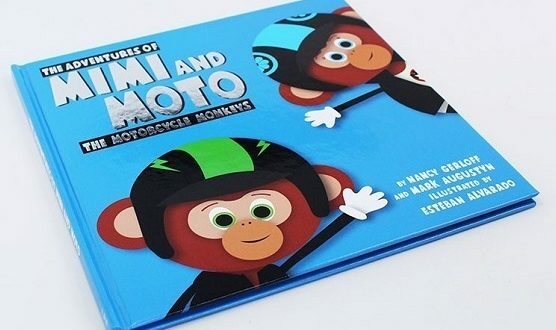 Mark and Nancy: Families love our book because it features charming monkey characters, it shows children that motorcycling is fun, safety is always first, both boys and girls ride, and there are many different kinds of motorcycles. YouMotorcycle: The adventures kind of double as a tool, too, don’t they? Mark and Nancy: As anyone who rides knows, safety must always be first. We thought it was critical to give parents and grandparents a tool through which they could communicate this vital lesson to children. We hope and encourage parents to use our book to educate children that there are some basic and easy things you can do as a motorcycle rider to be safe and avoid getting hurt. 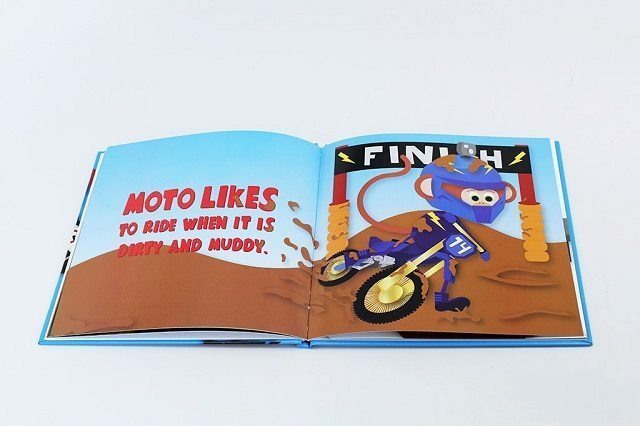 YouMotorcycle: The book really highlights both Moto and Mimi. Mark and Nancy: We want to show children that everyone rides, boy and girls. We made a deliberate effort to balance out all of the book’s illustrations and text between both characters. YouMotorcycle: But wait, there’s more! Mark and Nancy: That’s right. We also wanted to showcase as many different segments of the riding community as we could. We want children to recognize the wide variety of motorcycles and we want all motorcycle riders looking at the book to find a style or motorcycle that suits them. YouMotorcycle: When did you first launch? Mark and Nancy: We officially made the book available on Amazon on October 4, 2016 so we are just starting to sell the book. We are working to complete and will be launching the website soon; we will offer the digital version of the book there via a ‘lifetime membership’. YouMotorcycle: Has anything caught you off guard? Mark and Nancy: It takes a lot of time to illustrate, proof, print, and finally make a book available for sale. We are self-publishing, so we had to learn as we go and some parts of the process have simply taken longer than we thought. YouMotorcycle: Where do you see your work going next? Mark and Nancy: We think the sky is the limit on Mimi and Moto and we envision the brand becoming the ‘Dr. Seuss’ of the motorcycle world. We would like to continue to grow Mimi and Moto with merchandise and related items, more books, animated/video versions of the characters, maybe one day a movie. It is a little bit up to Mimi and Moto themselves which path they take and who they meet on their journey – we will surely be there for the ride. YouMotorcycle: That’s pretty ambitious, but we wish you all the best. 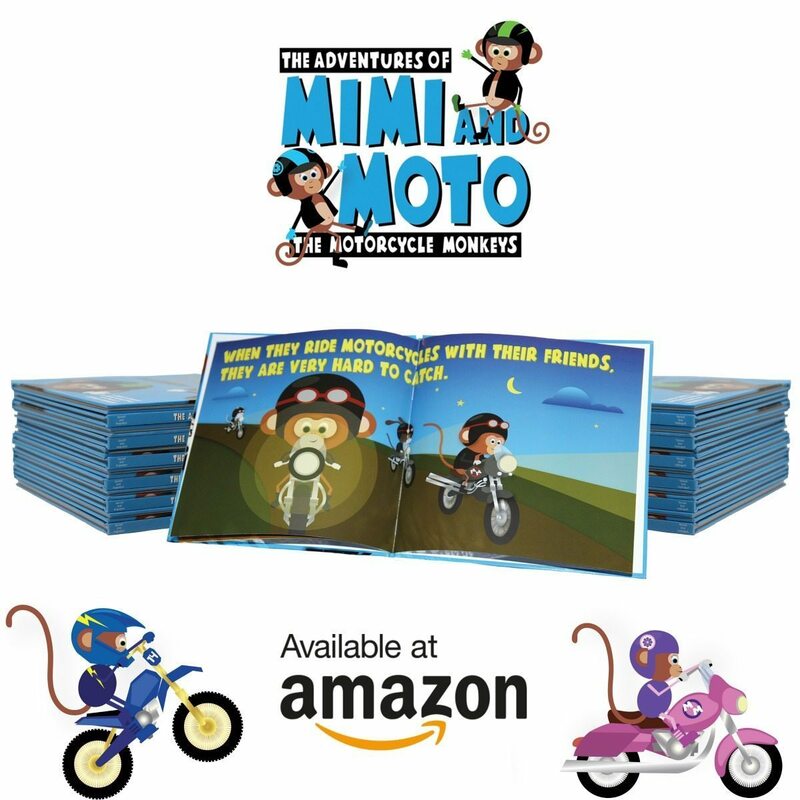 Be sure to check out The Adventures of Mimi and Moto: The Motorcycle Monkeys on Amazon. Show some support to a two wheel riding family, and bring a book in to your own two wheel farm or one you know and love.